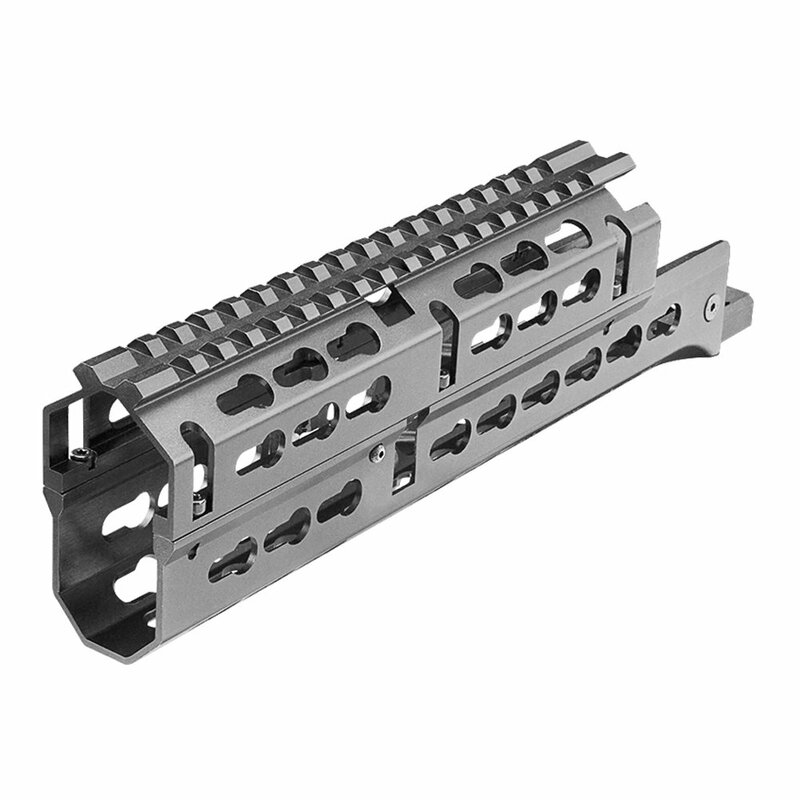 Russian AK-47 KeyMod handguard is a 2-Piece drop-in style design. 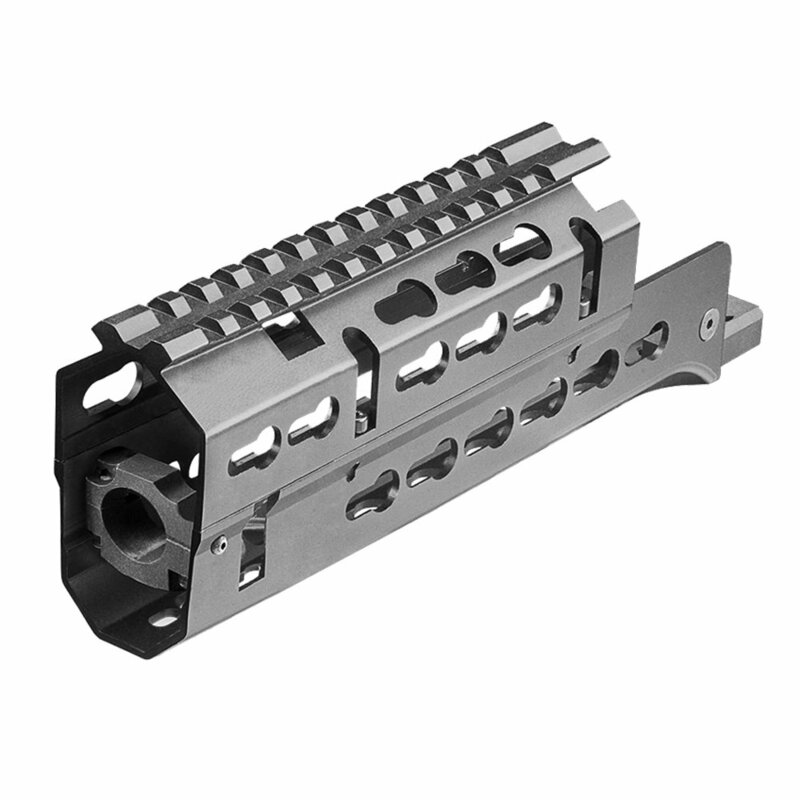 Machined from 6061 aluminum and anodized for hard use. 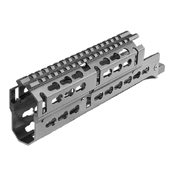 Featuring a Picatinny 1913 top rail with a grenade sight cut out. 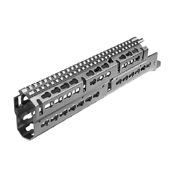 Mounts with unique barrel clamps and receiver clamps while featuring 9 KeyMod™ rows for ultimate modularity. No gunsmithing required for installation.